In Persian, we have a proverb that compares the “sacrificial lamb” to the benevolent scapegoat- both victims in happy and sad times. 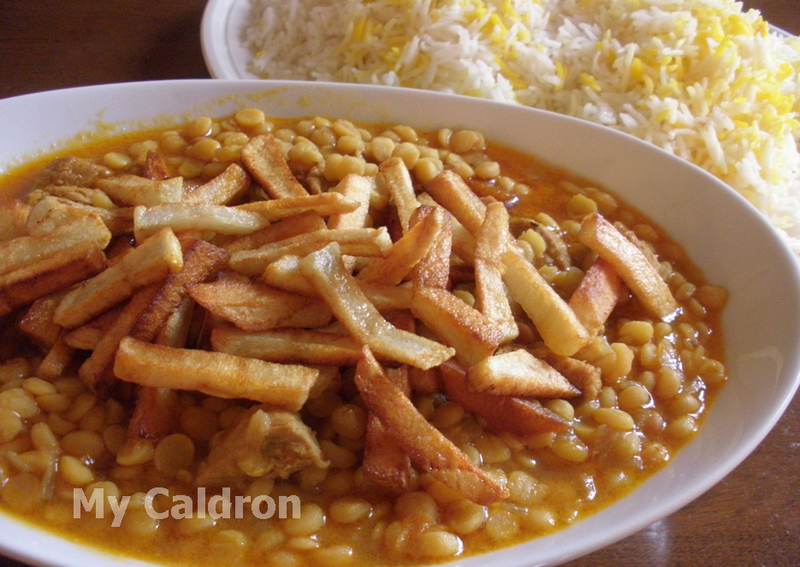 Well, split-beans stew (khoresh-e ghaymeh) brings to mind that proverb, as it is traditionally made and served at both weddings and funerals. No upcoming wedding or funerals planned, yet I have got to share this as one of my favorite stews.